Executive Mosaic’s GovCon Index rose Friday on advances large and middle-tier defense primes as U.S. stocks climbed following the January jobs report and President Donald Trump’s new executive order to reduce regulations on the banking industry implemented after the 2008 crisis. 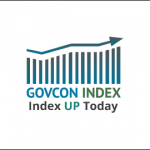 GovCon Index gainers outnumbered decliners by a 4-to-1 ratio as nine of its 11 S&P 500 components advanced with Huntington Ingalls Industries (NYSE: HII) the GCI’s top overall net performer and co-listed L3 Technologies (NYSE: LLL) as second-highest out of 30. Nine GCI companies climbed by at least $1.00 each with three of them exceeding a $2.00 gain and military shipbuilder HII up more than $4.00. Friday’s gain puts the GovCon Index in positive for the week despite only eight out of 30 stocks in green over five days. Lockheed Martin (NYSE: LMT) ended fourth among GCI net gainers Friday and spiked to a 1.65-percent gain in morning trade after Reuters first reported the details of a $8.5 billion contract for 90 F-35 jets in the program’s 10th batch the company subsequently confirmed before markets closed. Lockheed said this new contract reduced prices by 8 percent and Reuters said the cost per jet comes below $95 million for the first time versus $102 million in the last lot. CACI International and Harris Corp. (NYSE: HRS) retreated as the GCI’s two largest net decliners a day after both contractors reported quarterly earnings above Wall Street’s expectations. Nonfarm U.S. businesses added 227,000 jobs in January as unemployment rose to 4.8 percent, while wages rose by only three cents and 2.5 percent on an annualized basis. Financial shares surged 2 percent to lead 10 major S&P 500 sectors higher with consumer discretionary the only decliner.